Fresh out of the wash, Oh Fransson! 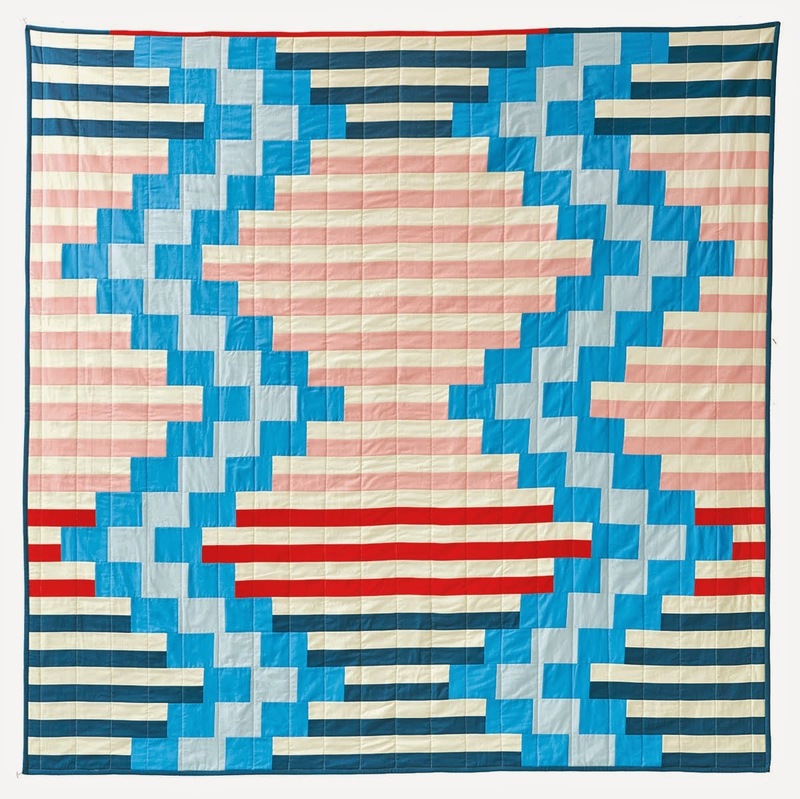 's Mod Sampler quilt-along quilt. It's a gift for the daughter of an old friend. There's a WHOLE lot of pink in this baby. Much more than I would normally go for but when someone looks this great in pink, come on! I'm pretty sure I had no choice. The blocks were made entirely from fabric I already had. That was great. These are all fabrics that I really like but I just don't find a lot of opportunities to use them. I bought the backing and sashing fabrics. The sashing is linen which I've never used in a quilt before. It was a little trickier than cotton. It can be pretty wily. I do really like how it turned out though. The label is a piece of the linen I used for the sashing. It's stamped with Jacquard textile ink. Gracie's mom is allergic to cats so I tried really hard to keep this quilt cat free. Stabone is sulking because I won't let him lie on it. Wow. That's awesome! I am totally inspired to dig my machine out and make something. Thanks for sharing! Wow! That's fantastic! She will treasure it always. I LOVE the tag on that! How wonderful for a gift! Love it! I meant to actually be a part of the quilt along...just didn't work out. 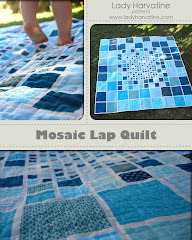 Your quilt definitely inspires me to go ahead and have a go at it! She's gonna love it! Your new quilt is gorgeous. I'm not much for pink either, but wow, maybe I was wrong! This is beautiful! It's so girly and pink and I'm sure the new recipient will love it! I read along as Oh Fransson! 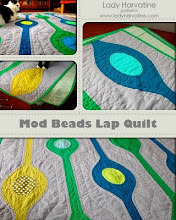 imbued all her glorious quilting knowledge during the Mod Sampler Quilt-along... I have yet to start it, but I will, seriously! Your pink quilt looks lovely, and Friend's Daughter will LOVE it - she's a cutie :-) Well done! Oh Liz, it looks fantastic! I can't believe you finished it so quickly! omg omg this is gorgeous..i am very pinkalicious,and now you have made it worse..its beautiful. I love your work..all of it. Awww, poor Stabone!!! 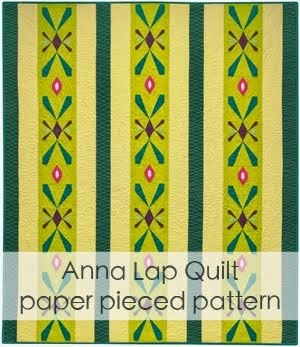 I have two that have recently been all over my quilt that I finished! It is a French Braid that I named Raspberries and Chocoloate!